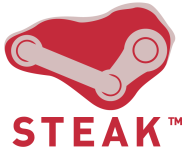 Steamworks is a very large change for the PC industry. Unfortunately Valve don’t appear interested in talking to me any more, so there is little I can do for the conversation surrounding it but add unanswered questions. Which I would rather not.